This flavorful pie is loaded with wholesome ingredients! Almonds and cashews offer healthy fats and dietary fiber, essential in regulating digestion, whereas flax helps lower bad cholesterol and improve hormonal balance thanks to its richness in omega-3 fatty acids and phytoestrogens. Sacha inchi provides a good dose of highly digestible complete protein, while cacao lends its medicinal compounds known for lowering blood pressure and improving mood and energy levels. 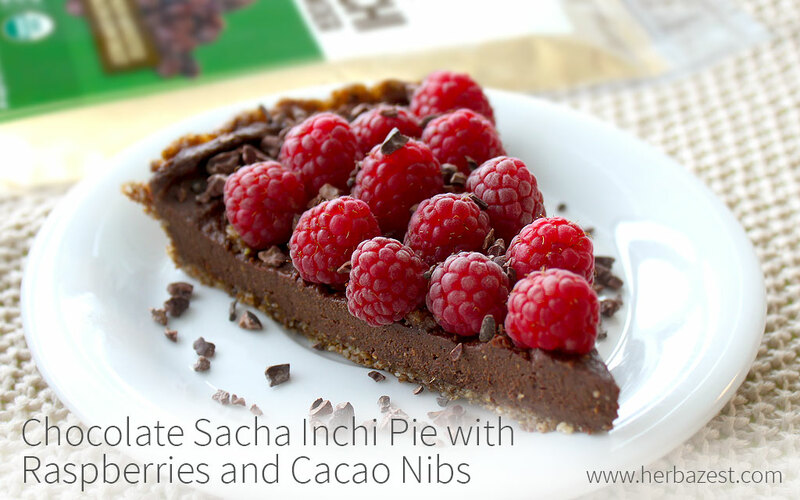 Topping this pie with antioxidant raspberries makes it a delicious and highly nutritious treat.